OnePlus 5T Lava Red Edition Launched in India. OnePlus on Thursday announced the launch of the OnePlus 5T Lava Red in India. The smartphone was originally launched in China in November last year. The Lava Red variant comes in only an 8GB RAM, 128GB storage configuration. 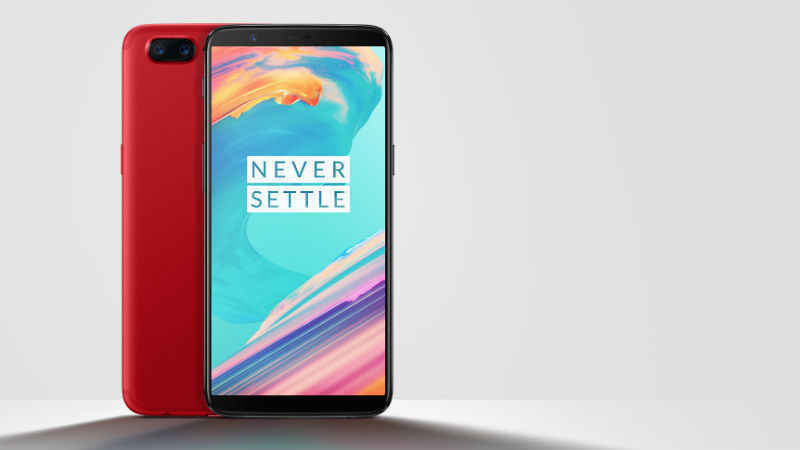 It will sit alongside two other OnePlus 5T variants, Midnight Black and Star Wars edition. Registrations to be notified for the first sale of the OnePlus 5T Lava Red edition have already begun on Thursday, January 11, and the phone will go on sale on Amazon.in starting at 12pm IST, January 20 as well as on the OnePlus Store. The company is calling it an open sale. The phone is priced at Rs. 37,999 - the same price as the regular 8GB RAM variant of the smartphone. As we mentioned, the OnePlus 5T Lava Red edition has been launched in India. Apart from a new colour scheme, the new edition retains the same features and specifications as the original Midnight Black variant launched in November 2017. For the Lava Red variant, OnePlus has used two anodic oxidation processes, double blasting and AF coating, to maintain the texture. It also gets a redesigned wallpaper, unique to this variant. "We are thrilled by the overwhelming response to the OnePlus 5T Star Wars Limited Edition. This phenomenal excitement reinforces the trust that our fans have instilled in us, making us determined to continue to bring fresh experiences. We are happy to kickstart 2018 with the much requested OnePlus 5T Lava Red edition, our first ever red smartphone, that will certainly appeal to those looking for the perfect balance of beautiful design and powerful features." said Vikas Agarwal, General Manager, OnePlus India. The OnePlus 5T sports a 6.01-inch full-HD + (1080x2160 pixels) Full Optic AMOLED display with an aspect ratio of 18.5:9. The phone is powered by a Qualcomm Snapdragon 835 SoC, coupled with 6/ 8GB RAM and up to 128GB inbuilt storage.